What is Oracle Planning Budgeting Cloud Service? Oracle Enterprise Planning and Budgeting Cloud Service is a platform designed to empower operational planners with flexibility, scalability and ownership to plan the way you want while still offering the transparency and control required for corporate finance. Five key features of EPBCS are Strategic Modeling - long-range financial modeling to evaluate the impact of opportunities and threats; Financials - fully integrated financial statement planning across the income statement, balance sheet, and cash flow; Workforce - Financial Workforce Planning for compensation spend by employee and/or job code; Projects - Project financial planning for project-oriented industries and departments (e.g. IT, Marketing, R&D, etc. ); Capital - a Capital Asset process for detailed planning on the impact of new and existing assets. Also included is the powerful Excel add-in, Smart View, for ad hoc analysis and Excel-based interactions with your plan, integrated predictive planning capabilities that allow you to create forecasts based on historical actual data, and support for hybrid cloud deployments with deep integration to on-premise systems. No capex infrastructure investments required in the cloud. MindStream Analytics can help you learn more about EPBCS and its full scope of capabilities. 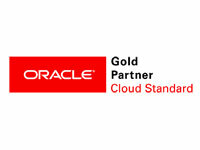 To arrange an Oracle PBCS demo for your company - please complete the form below.